I’m Kristin. I started running in 2011 because my friends were doing the Cooper River Bridge Run in Charleston, S.C. and FOMO is real. 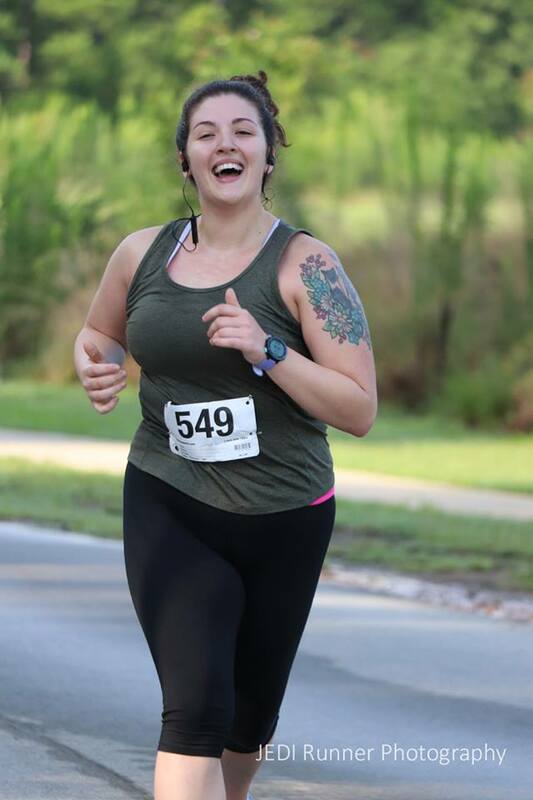 I was an inconsistent runner until 2015 when I set a goal of running 25 races by my 25th birthday (April 28th, 2017). I reached my goal and then some, and it’s kept me in the running game ever since. I became interested in starting a chapter of #BALG in Columbia because I believe that everyone can be runner, regardless of speed, agility, or whatever. I’m a back-of-the-pack runner and I know first hand that all it takes to be a runner is a desire to run. I’m excited to be your Badass Lady Gang leader in Columbia and I can’t wait to see you Wednesdays at Riverfront Park!